The General Consulate of Greece in Melbourne announced that “following the Joint Decision of the Minister of Internal Affairs, of the Minister of Education, Research and Religious Affairs and of the Minister of Foreign Affairs No.17889 (Official Gazette B’ 1384 from 24.04.2017), the 9th of February, also known as Dionysios Solomos (8 April 1798 – 9 February 1857) Commemoration Day has been declared as International Greek Language Day”. The idea for an International Greek Language Day had been pushed through the General Secretariat for Greeks Abroad with the cooperation of several Greek Diplomatic Missions, as well as Greek Associations and Communities. 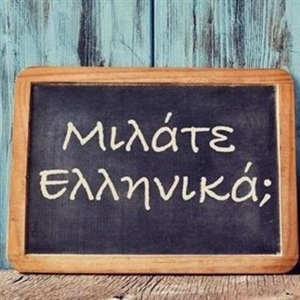 The Ecumenical Patriarchate together with the Senior Patriarchates and the Archdioceses which support schools or Greek-language classes have also been requesting the establishment of the International Greek Language Day which is expected to greatly contribute to the spread of Greek culture. Meanwhile, the Ministry of Education, Research and Religious Affairs is to put together a programme of events which, along with their own initiatives, will be proposed to all Greek Communities and Associations of the Diaspora or to foreign universities with Greek language studies including other bodies for Greek-language learning, even more so those financed by the General Secretariat for Greeks Abroad. Initially, it was two dates in September and October UNESCO had been contemplating on, following a suggestion to celebrate the day on either Giorgos Seferis’ or Odysseas Elytis’ commemoration days. Dionysios Solomos’ face may not be adorning Greece’s national currency anymore, but Greek culture and language will be internationally and forever intertwined with his name as of 9 February 2018.